NEW YORK–(BUSINESS WIRE)–Checkmarx, a global leader in Application Security Testing, has been selected for the fifth year in a row as one of Israel’s fastest growing companies in Deloitte’s Fast 50 2017 awards program. Recognized for sustained revenue growth and a deep understanding of the cybersecurity market, Checkmarx is the highest-ranking cybersecurity company, placed 15th on the overall Fast 50 list. There are only a few other companies that were listed in the top 50 list five years in a row, indicating the sustainability of Checkmarx’s business and the fast growing market for application security. During the last three years, Checkmarx grew almost five-fold, and throughout the last eight years the company grew a whopping 28,000%. The Deloitte Technology Fast 50, one of Israel’s foremost technology award programs, ranks the country’s fastest growing technology companies based on their growth percentage over the last four years. The Fast 50 program honors business growth and technological innovation as well as Israeli entrepreneurial spirit. It is part of a national and international program run by Deloitte. In today’s fast paced development environments it is crucial that application security keeps up. Checkmarx’s comprehensive solutions for automated security code review allow developers to meet the demand for fast delivery without sacrificing security. Ever since its founding in 2006, Checkmarx has been at the forefront of application security testing solutions fit for developers. 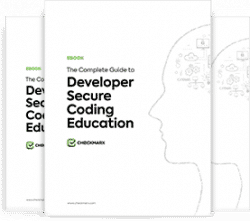 Its recent acquisition of Codebashing, game-like AppSec training for enterprise developers, is the embodiment of that as it sets out to ensure developer’s secure coding education. The full list of the Deloitte Israel 2017 Technology Fast 50 winners can be found online here. To learn more about Checkmarx and the company’s vision, visit the company’s website here.